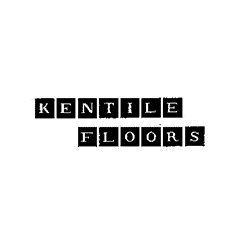 Founded in 1898 by Arthur Kennedy in Brooklyn, New York, Kentile Floors produced vinyl, cork and rubber floor tiles. Kentile specialized in large, durable tiles made of a range of materials, including as much as 25 percent asbestos. Many remember Kentile Floors for the company’s eight-story sign visible from the Gowanus Expressway in Brooklyn. When lit up in bright neon purple, the sign could be seen from miles away. Unfortunately, the company is also remembered for using toxic asbestos in a variety of its products, including asphalt and vinyl floor tiles. Employees of Kentile Floors and workers who used the company’s asbestos-containing floor tiles were at increased risk of asbestos exposure, which can lead to serious respiratory conditions including asbestosis, mesothelioma and lung cancer. Flooring tiles defined the company’s product line, but the materials within the tiles trailed the company’s legacy. Kentile Floors sold a variety of asbestos products prior to the dangers of asbestos becoming known. Its product prices were competitive against rivals such as Armstrong, Congoleum-Nairin and Montgomery. The company even offered of a consumer-install option, alleviating the need for professional installation. In 1951, the cost of consumer-installed Kentile flooring in an 8-by-9 room was $10.95. During the 1950s and 1960s, Kentile Floors was one of America’s largest manufacturers of super-resilient floor tile, and it was a national tile distributor. The company’s asphalt and vinyl tile products used asbestos in fiber form for reinforcement and powder form as filler. The tiles were recognized for being durable and heat resistant, common qualities of asbestos-containing products. By 1969, Kentile was producing vinyl sheet flooring, which is an inexpensive and durable flooring usually cut to the size of a room and installed in one piece. Unfortunately, this type of flooring had a particularly friable asbestos backing, which posed a high exposure risk if the sheet flooring is disturbed or damaged. While Kentile’s cork floor tiles likely do not contain asbestos, vinyl tiles manufactured to look like cork are known to contain the toxic mineral. Kentile’s famous skyscraper sign — an iconic piece of Brooklyn’s industrial heritage — was removed in 2014. The sign was donated to a neighborhood nonprofit group, the Gowanus Alliance, after a preservation campaign fought to save it. Kentile Floors eventually stopped using asbestos in its products, but not before their flooring was installed in homes, offices, schools and other buildings across the country. The issue then became when the floors were torn up and removed during renovations years later. After facing thousands of asbestos-related lawsuits, Kentile Floors filed for bankruptcy in 1992. The company reorganized as Metex Manufacturing Company in 1998 and took on Kentile’s asbestos liabilities. However, Metex also filed for bankruptcy in 2014 and established the Metex Asbestos PI Trust a year later. Kentile Floors was not immune to the wave of asbestos litigation that was prevalent throughout the late 1900s and early 2000s. The company faced an estimated 20,000 asbestos claims when it filed for reorganization in 1992. Kentile was not able to get an asbestos trust approved to pay future claims. When it reemerged as Metex in 1998, the company became responsible for lawsuits against Kentile. When Metex later filed for bankruptcy reorganization in the federal court in New York in 2014, it faced about 6,000 active claims. This time, the court approved Metex to establish an asbestos trust, which initiated in 2015. The approval protects Kentile/Metex from personal injury lawsuits, but the company must fund the trust with enough money to pay current and future asbestos claims. In order to have enough money for future claims, asbestos trusts typically offer a percentage of claims. The initial payment percentage for the Metex Asbestos PI Trust is 18 percent. In addition to thousands of personal injury lawsuits, the company nearly faced further liability in 2006 after being named in a mass tort action along with other former asbestos manufacturers, including J.A. Sexauer and Pecora Corporation. In this case — Beverly Fisher v. J.A. Sexauer, Kentile, and Pecora Corp. — the wife of a former plumber alleged that various companies contributed to her husband’s lung cancer. It was later determined Kentile Floors couldn’t be sufficiently proven as liable for Sidney Fisher’s lung cancer even though Sidney Fisher was exposed to the company’s asbestos products. After appeal, the Superior Court of Pennsylvania in 2012 found no reversible error in the trial court’s decision. In August 2010, Kentile was found liable in the pain and suffering of Judith Harrell in the case William Harrell and Judith Harrell v. Allied Packing and Supply Inc., et al. The company was deemed responsible for 6 percent of the nearly $1.6 million verdict. Kentile’s asbestos-containing products were listed as a contributor to the plaintiff’s pain, alongside large manufacturers including Ford Motor Co., ExxonMobil, Georgia-Pacific Corp. and others. Exposed to Asbestos at Kentile Floors? Tile installers, carpenters, painters, plumbers and electricians are among the many occupations that likely interacted with Kentile’s asbestos flooring products. As most of these workers didn’t actually install the actual flooring, the asbestos products posed a threat if they were disturbed, potentially releasing asbestos fibers in the air where they could be inhaled. Employees of Kentile Floors are considered at increased risk of asbestos exposure from the company’s products, which could occur during various stages of the manufacturing process. Similarly, other employees and occupations within the industry may have dealt with Kentile’s flooring products. The company’s floor tiles are commonly categorized as nonfriable, referring to the product’s limited likelihood of crumbling and releasing asbestos fibers into the air. Still, flooring installers and repairmen expose themselves to the hazards associated with asbestos exposure by handling these dangerous tiles and flooring products. Breaking tiles apart or grinding, sanding or incinerating tiles can release toxic asbestos fibers. Homeowners are another group at risk because of the continual interaction with these contaminated products. Damage to Kentile’s flooring products during improper repairs or home construction projects can result in asbestos exposure. Any damage to these products should be handled with extreme care. Homeowners should seek professional removal services if they suspect their flooring may contain asbestos. UNITED STATES BANKRUPTCY COURT SOUTHERN DISTRICT OF NEW YORK. (2014, June 13). Metex Mfg. Corporation. Metex Claims Processing Inc. (2015) Metex Asbestos PI Trust. Rand Corporation. (2010). Asbestos Bankruptcy Trusts: An Overview of Trust Structure and Activity with Detailed Reports on the Largest Trusts. The First Judicial Court of Pennsylvania, Philadelphia County In The Court of Commons Pleas. (2006, November). Beverly Fisher, Executrix for the Estate of Sidney Fisher v. J.A. Sexauer, Kentile Floors and Pecora Corporation. FindLaw. (2012, May 29). Beverly FISHER, Executrix of the Estate of Sidney Fisher, Deceased and Widow in her own right, Appellant v. J.A. SEXAUER, Kentile, and Pecora Corporation, Appellees. InspectAPedia. (n.d). Kentile KenFlex Vinyl-Asbestos Floor Tiles Identification Photo Guide. InspectAPedia. (n.d.). How to Reduce the Hazard of Asbestos Floor Tiles.